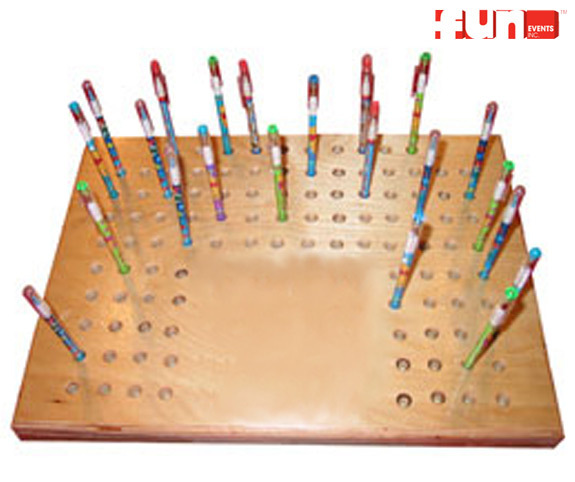 Players select from a large assortment of full color and designed pencils to try to find a pencil with a colored tip. Every player gets to keep the fun pencil that they select. If the participant finds a color tipped pencil then they win an additional 1st place prize. A small kids game and for all ages.